Welcome to EOSpy. 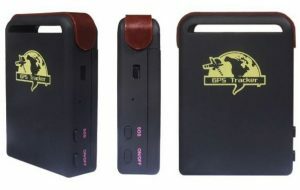 This is a great little GPS tracking device that you can purchase from most web suppliers. The EOSpy Server is compatible with most popular GPS tracker devices, and many companies make various off-the-shelf GPS tracking devices that can be purchased from a number of vendors. Devices that can be installed in your vehicle, miniature devices that can be carried, GPS watches, GPS dog collars and property tracking/locators, these GPS tracking devices from a huge number of manufacturers are compatible with the EOSpy GPS map system. They will transmit latitude, longitude, altitude, speed, course, distance and battery information. Also, some have additional features like an SOS panic button. These GPS tracker devices report location and additional information to the EOSpy Server at selected time intervals. Using an internet-connected or mobile cell network, constant information is at your fingertips. EOSpy Server supports more than 90 GPS communication protocols and more than 800 models of GPS tracking devices from popular GPS vendors. EOSpy is designed to support as many tracking devices as possible. Check the EOSpy device list for supported GPS tracking devices.